VINCE GILL, GUITAR SLINGER. SHEET MUSIC BOOK WITH GUITAR TABLATURE. LIBRO DI MUSICA MODERN COUNTRY. From country barn-burners and rockabilly to his signature gorgeous ballads, Vince returns to his first love, the guitar. Though known best for his amazing voice and fantastic songs, Vince Gill began his career as a bluegrass session guitarist and is one of the finest guitarists in the world. Guitar Slinger is the follow-up to his 2006 Grammy-winning four-CD box set, These Days. Titles: Guitar Slinger * Tell Me Fool * Threaten Me with Heaven * When the Lady Sings the Blues * Who Wouldn't Fall in Love with You * When Lonely Comes Around * True Love * Bread and Water * Billy Paul * The Old Lucky Diamond Hotel * If I Die * Buttermilk John. 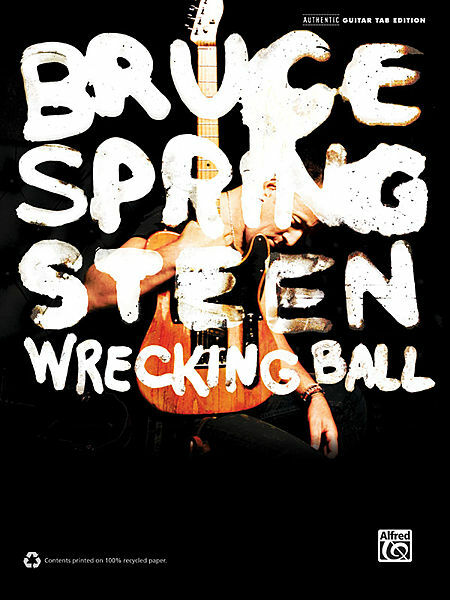 Wrecking Ball, Bruce Springsteen's 17th studio album, is a statement on modern American life set to The Boss's perfect fusion of rock and folk/Americana. 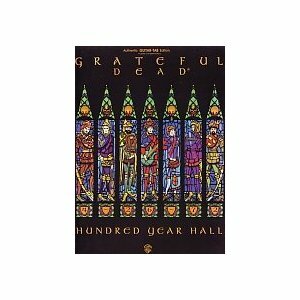 These authentic guitar TAB arrangements include melody, lyrics, and TAB. Titles: We Take Care of Our Own * Easy Money * Shackled and Drawn * Jack of All Trades * Death to My Hometown * This Depression * Wrecking Ball * You've Got It * Rocky Ground * Land of Hope and Dreams * We Are Alive * Swallowed Up * American Land. HENDERSON SCOTT, THE BEST. Black Cherry -Jakarta -Revenge Stew -Root Food -Slidin' Into Charlisa -Stella By Infra-Red High Particle Neutron Beam -Susie's Dingsbums -The Crawling Horror -Torque -Worlds Waiting. Chitarra TAB., e basso (no Tab.). TAB. 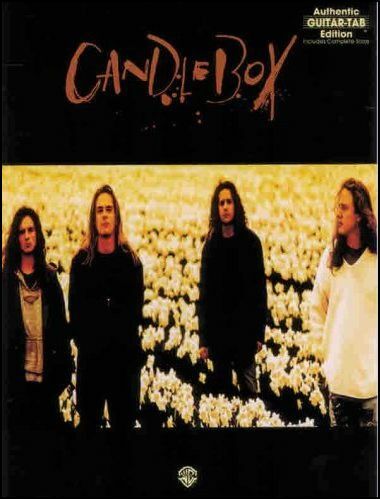 Matching folio to the 2000 debut by these alternative rockers. 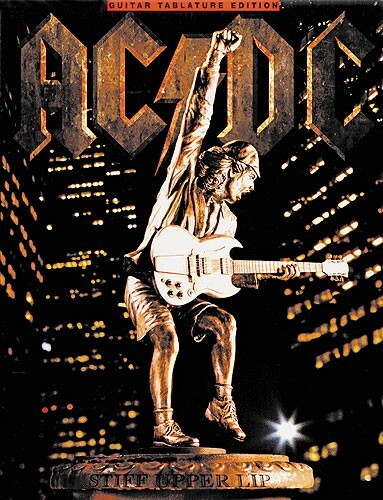 Includes their breakout hit "Kryptonite", 88 pages. COCKBURN BRUCE, ANYTHING ANYTIME ANYWHERE, SINGLES 1979-2002. Anything anytime anywhere -call it democracy -the coldest night of the year -a dream like mine -if a tree falls -if i had a rocket launcher -last night of the world -listen for the laugh -my beat -lovers in a dangerous time -night train -pacing the cage -Tokyo -the trouble with normal -waiting for a miracle -Wondering where the lions are. TAB. 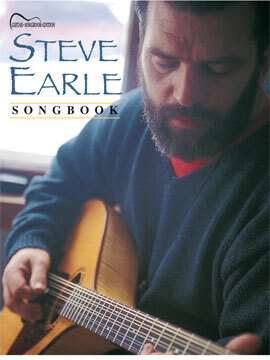 EARLE STEVE, SONGBOOK. 24 Titoli. TAB. Twenty-four songs from one of America's greatest songwriters. Contains: Carrie Brown * Copperhead Road * The Devil's Right Hand * Ellis Unit One * Fearless Heart * Good Ol' Boy (Gettin' Tough) * Goodbye * Guitar Town * Hillbilly Highway * I Ain't Ever Satisfied * I Feel Alright * Me and the Eagle * The Mountain * My Old Friend the Blues * No. 29 * Nothing But a Child * Nowhere Road * Someday * Sometimes She Forgets * Telephone Road * Texas Eagle * Tom Ames Prayer * Valentine's Day * The Week of Living Dangerously.